Friday, October 12--Alumni Arrival/Informal Gatherings. 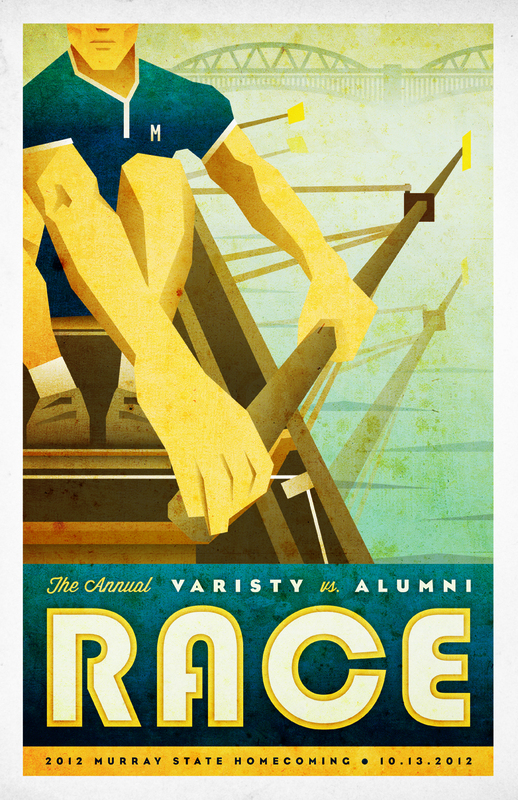 Saturday, October 13--Meet at the MSU Boathouse at 10:00 a.m. Racing begins at 10:30 a.m. Homecoming banquet including dinner, speeches, dedications and the presentation of the coveted Homecoming Cup begins at 7:00p.m. Late night revelry will follow. Sunday, October 14--Farewell Breakfast. Location and time to be announced. Joe--This is a very cool design! 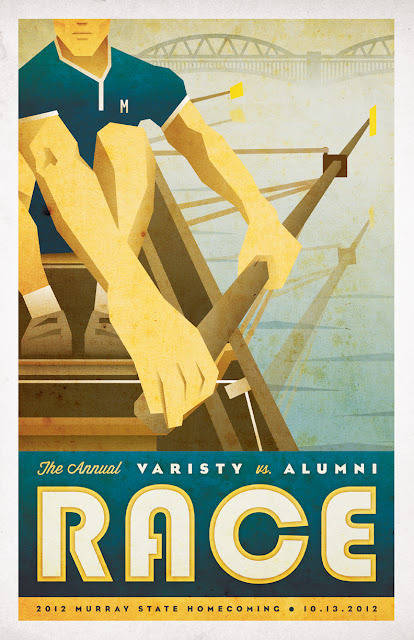 I love that it is definitely an MSU crew/Racer Rowing poster...but it has none of these words actually on the poster itself. Strikes me as a bold design choice. Something quite original!